Our face creams contain carefully selected plant-based ingredients. They spread easily and absorb quickly, providing an abundance of nourishment, leaving the skin feeling silky and smooth to the touch. Our face creams soothe dry, sensitive skin and add moisture to help keep the skin supple, healthy and youthful in appearance. 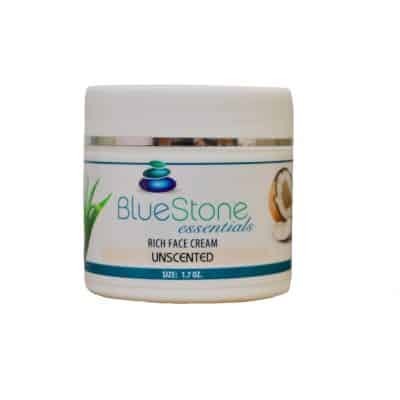 Our face creams come in unscented or scented, with or without CBD, and are designed with a combination of bio-degradable fatty acids, which are very similar to the surface of the skin, and makes the creams deeply moisturizing. Marigold Fields & Passion Fruit and Rich Face Cream work well with all skin types. Use with our Pomegranate and Primrose Eye Cream or Marigold Fields Eye Cream.